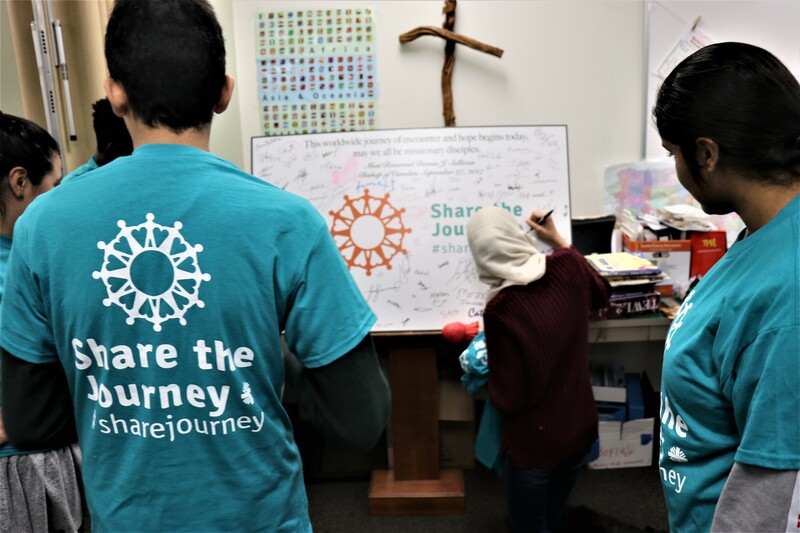 After helping organize a toy giveaway, young refugee clients and volunteers sign a “Share the Journey” poster that was first signed by Bishop Dennis Sullivan during the launching of the campaign. 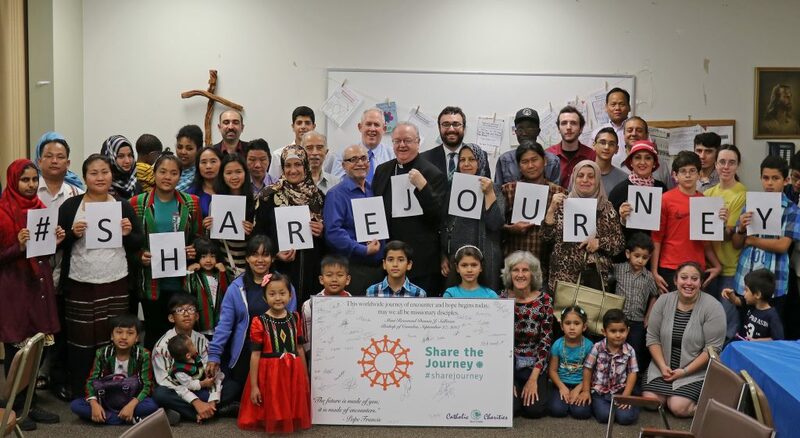 The slight rain did not put a damper on the carnival held by Catholic Charities, which offered refugees, migrants, volunteers, parishioners, and other community members the opportunity to interact, learn, and encounter. 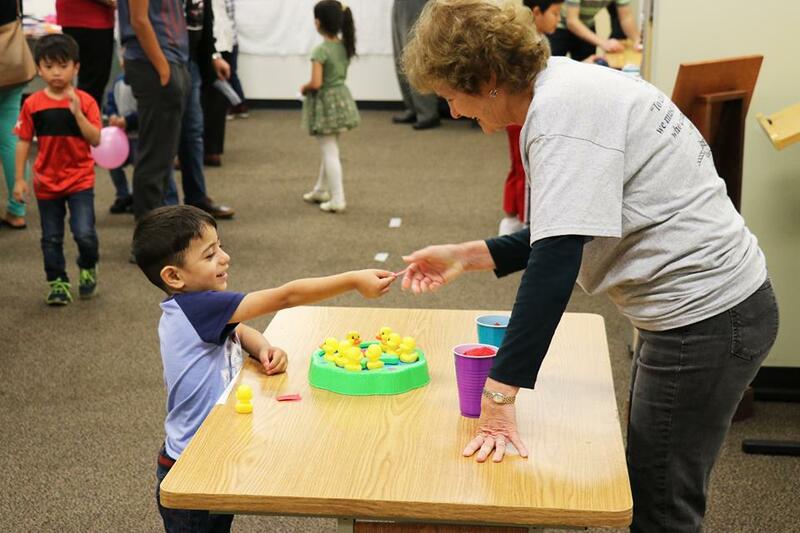 A volunteer awards Abdulrazak Alajrab, a young refugee from Syria, with tickets for a prize during Catholic Charities’ carnival for refugees, where staff, volunteers, refugee clients and parishioners engaged in a day of fun and games. Khin San Htay fled her home country of Myanmar due to the increasing violence and forced labor in her village. Reflecting on her own journey, she said, “We had no choice but to leave, our lives were in danger. My husband and my children and I fled to Malaysia, but it wasn’t safe there either. 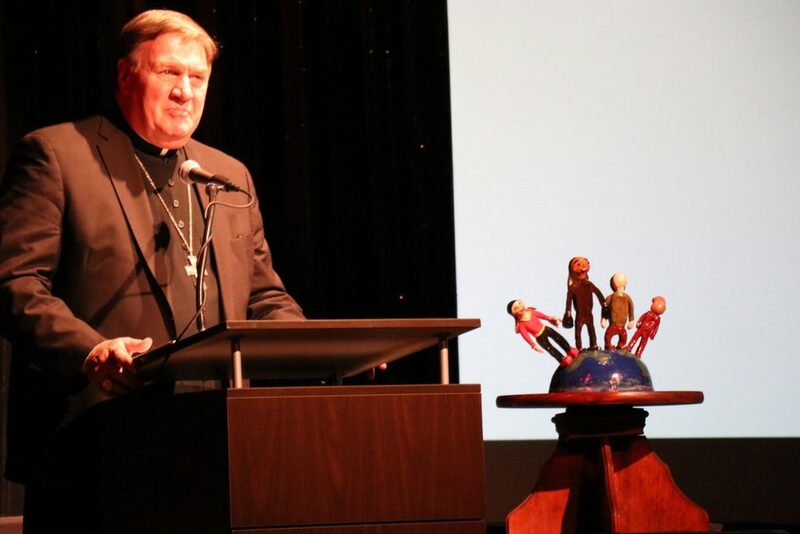 The police were constantly looking for refugees, and we never knew if they would come to take us away. 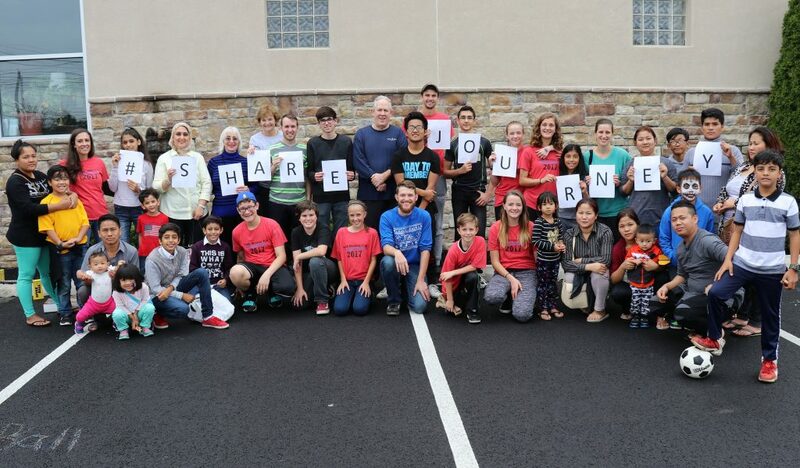 Learn more about the Share the Journey campaign here.